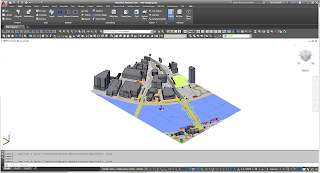 In a previous post we mentioned changes to our DWG exports from the FIND system and one of the exciting things is the inclusion of the building height attributes as x-data. 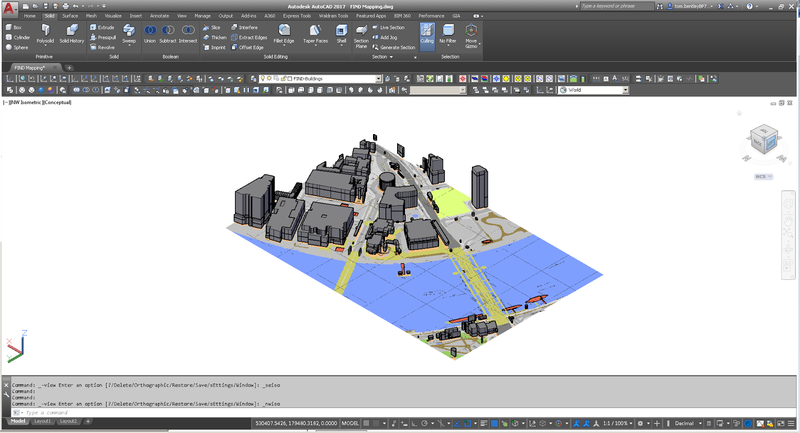 With a coverage of more than 10,000 sq km of urban area's you will be able to create your own simple 3D visualisation models. 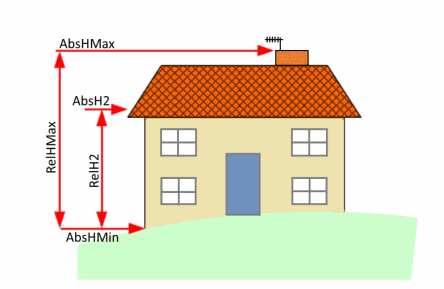 As part of the building height attribute you now receive the AbsHMin, AbsH2 and AbsHMax which defines the absolute height of the property at various positions. Height values included in the OS Mastermap Topography Layer. To learn more about the building height attributes included as part of the OS Mastermap Topograpy Layer please visit the Ordnance Survey website. 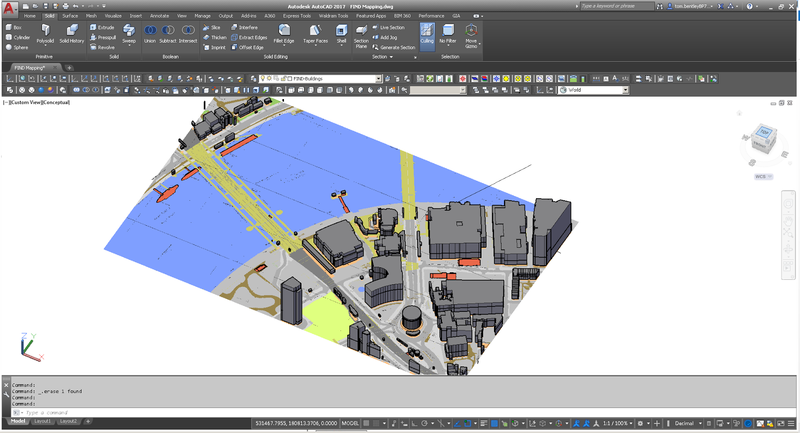 Here is an example of what you can do with this height information within AutoCAD. 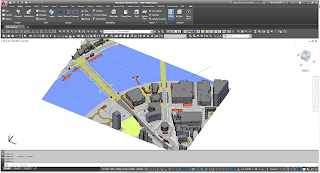 For more information about how these models were created or if you require a more sophisticated model, please do send us an email on support@findmaps.co.uk or give us a call on 0845 5211410.